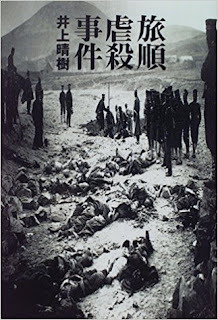 "From Nanjing to Okinawa – Two Massacres, Two Commanders." 新年の挨拶を申し上げます。A Happy New Year, with the beautiful sunset at Lvshun Port which I captured on December 18, during the study tour to China (Shanghai, Nanjing, Dalian, and Lvshun). Please note the upcoming publication of the second edition of Resistant Islands: Okinawa Confronts Japan and the United States, 2nd Edition, Rowman and Littlefield, co-authored with Gavan McCormack. Below is the list of my upcoming publications in Japanese. I will continue to publish, edit, and translate articles for the Asia-Pacific Journal: Japan Focus. 今年もよろしくお願いいたします。Hope all will have a great 2018!